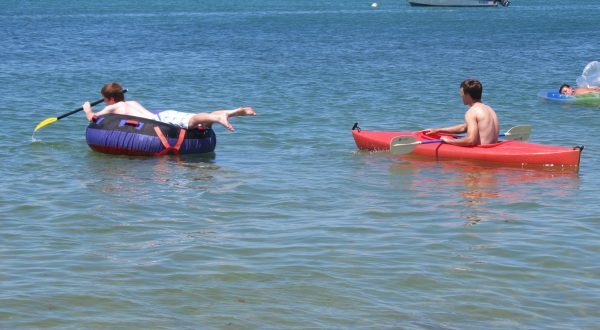 Point of Rocks Beach is ideal for swimming, kayaking/canoeing and floating at high tide. Clamming, skim boarding, and watching & collecting sea creatures are popular low tide activities. 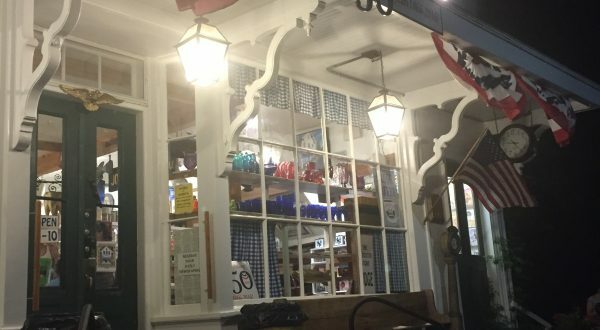 Brewster and the surrounding lower Cape towns are full of historic buildings and leisure activities for all ages. Golf, puppet shows, sailing lessons, drive in movies, whale watching and cycling are just a few of the activities available. Order prepared lobster, steamers, scallops, shrimp etc… from the Breakwater Fish House and bring back to the cottage for a seafood feast! 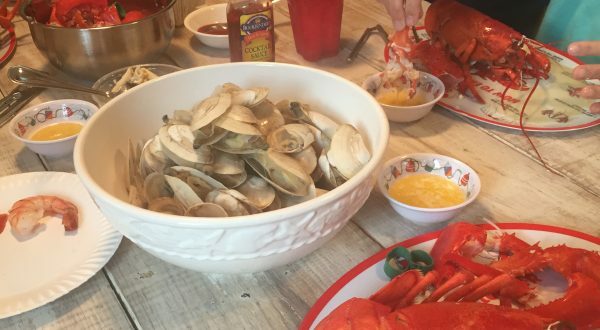 Brewster is also home to several clam shacks, stone oven pizza and the delicious Brewster Bun! 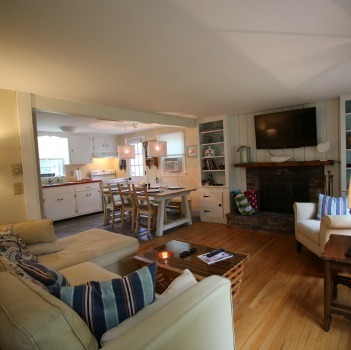 This 40 year old updated cottage is nicely appointed with many comforts of home. It has 2 bathrooms, 4 bedrooms (sleeps 10)- BR1 queen, BR2 two twin, BR3 two twin, BR4 1 bunk bed and 1 queen. All 4 bedrooms have window unit A/C. 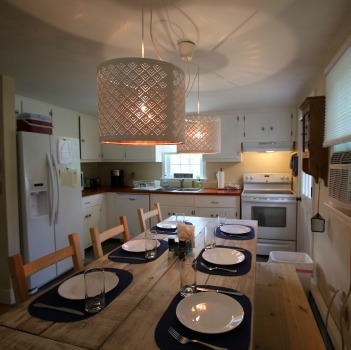 Rustic kitchen is well equipped- brand new appliances electric stove/oven, refrigerator with ice maker and filtered water dispenser, dishwasher and counter top microwave. Other small appliances include- coffee maker, toaster, hand mixer and blender. Living room has wall mounted 48 inch flat screen TV with cable. WiFi also included. Both bathrooms equipped with hair dryers and bath mats. Bring your own towels and sheets. 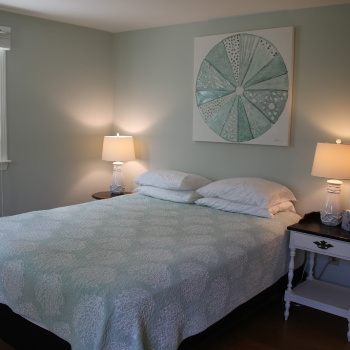 Clean, spacious, basement has washer and dryer with bulk head access for easy storage of beach chairs and toys. Spacious corner lot, with large backyard and large deck off the kitchen. Propane gas grill and outdoor eating space. Bring your washers, volleyball net, horseshoes etc.... to take advantage of backyard space. This cottage is exactly .5 mile from Point of Rocks Beach. At low tide explore the flats and creatures that live under the water- razor clams. quahogs, hermit crabs, sand crabs, snails and minnows. Families enjoy playing frisbee, wiffle ball, paddle ball and volleyball on the flats. The bay is also ideal for swimming, sailing, paddle boarding canoeing kayaking or water skiing. Enjoy walks on the beautiful Brewster Flats as well as amazing sunsets over the bay at the end of the day. 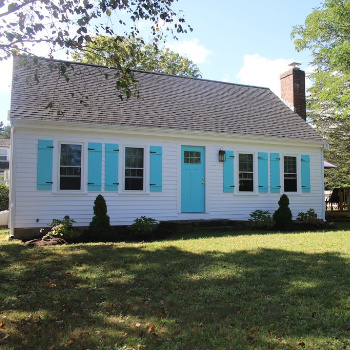 Reserve Our Brewster Cottage Today! GIVE US A CALL 512.797.8582 or feel free to contact us with any questions you have about booking with us.